Hello! I am on a plane right this second headed to Boston for the Boston Marathon. Is this for real? I hope it’s real… and I’m not actually in a mental hospital where I’ve been living for the past 6 years after having a nervous breakdown trying to run around the block on a hot day and since then have convinced myself I write about running and eating on the internet all day long. Maybe all this time I’ve been dreaming up stories where I get to do super amazing things like run in Jerusalem or run the Boston Marathon… but really I’m just sitting in dingy robe with ketchup in my hair staring at the computer reading Wikipedia and demanding my roommates take pictures of me running up and down the halls???!! I’m going to just believe that I’m really going to Boston right now for the sake of this post. If it’s not real, humor me. Over the last 10 weeks I’ve worked with Hyland’s Powered to share my journey of training for the Boston Marathon. When I got the call to join the team I didn’t believe it. 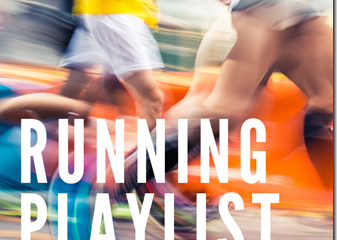 I don’t think I’m a great runner or blogger – so I kinda thought it was a mistake. Then, I thought – I hope they don’t realize their mistake because I am going to be super bummed! I 100% don’t think I deserve this opportunity or a lot of opportunities I’ve received in the past. One time I was talking to a friend about being grateful for our blessings. It’s kind of scary when I don’t feel like I’m worthy of a gift. But one time a friend said in passing something her dad used to say “We don’t deserve it but we’re not giving it back”. And so I try to accept blessings like this with a grateful heart and try not to focus on whether or not I deserve it. This struggle is part of my journey. It’s part of my journey to the Boston Marathon and it’s part of my journey in life. I am not the best, fastest, funniest, smartest, prettiest, strongest… but I am me and I am trying my best to accept all my blessings. I am grateful for every single one – even the ones that scare me. And all of that goes back to my mantra “Be Brave”. That’s been a huge part of my journey. I originally said it in reference to running 26.2 miles but I’m working on being brave with a lot of things in my life right now. <- had a huge light bulb moment on this two nights ago. 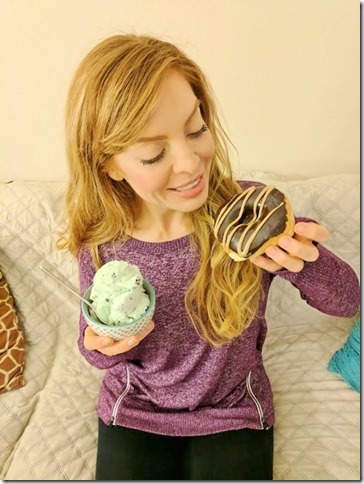 My biggest running obstacle – I set for myself! Follow me on Instagram / Facebook / Twitter for updates on the #BostonMarathon this weekend. The race is Monday. I’ll be updating social media faster than the blog so follow/comment/tag if you want to stay in touch. And I’ll do full updates on RER with recaps later. After the race I’m doing two short events on the east coast so I might be a few days behind on posting. Question: What are you doing this weekend?! It’s Easter on Sunday but I’ll be in Boston so I think I’m going to hunt for chocolate eggs at the store and hide them in my belly. 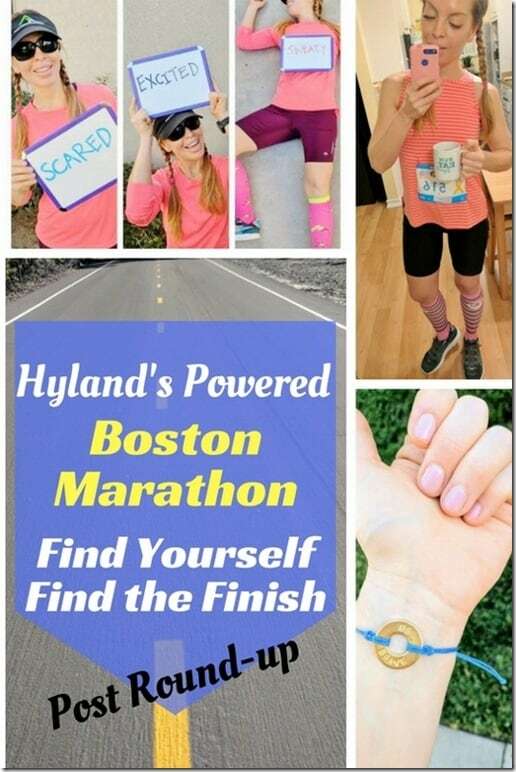 I’m working with Hyland’s to share my journey of training for the Boston Marathon as part of their Hyland’s Team Challenge. All opinions are my own. The links above all reference posts that are in partnership with Hyland’s. That crazy hospital am I dreaming or not scenario is hilarious. I feel like that’s how I feel half the time – is this even happening? Am I an imposter? Did my kid seriously just do/say that? I hope the run went well today – you are such a badass! 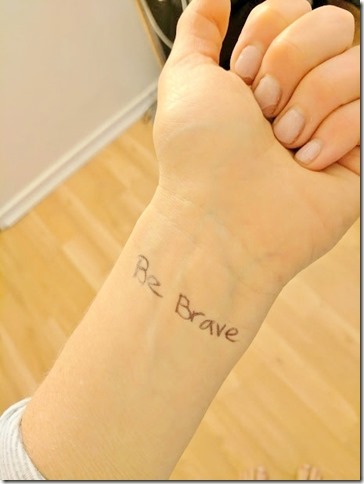 Thank you so much for the “be brave” reminder. 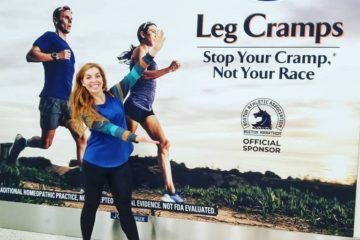 I have three half marathons, each a PR, but my first marathon attempt last year… They canceled the marathon when I was part way through (and was too dehydrated to be out there anyway). I’ve wanted to run another but having not finished last year I have a major case of the “what-ifs”. So THANK you! And prayers for a healthy and amazing Boston for you!! So so so exciting- and you are definitely worthy of the opportunity. Good luck Monica! I’ll be cheering you on from Boston! Enjoy the experience & you will do great!! I am dying laughing at the crazy hospital scenario…don’t we all wonder this sometimes? No, just us? Haha! Thanks for the laugh! Monica, I’m so happy for you that you are doing the Boston Marathon. You have been such an inspiration to me. Because of you, I started running. Because of you, I am not down on myself for only being able to walk right now while I recover from my back injury. I know my back needs rest and if that’s what it takes, then I am okay with it. Because I read your blog, because I know you know more than me and I know you are smart. You are amazing! You are strong! 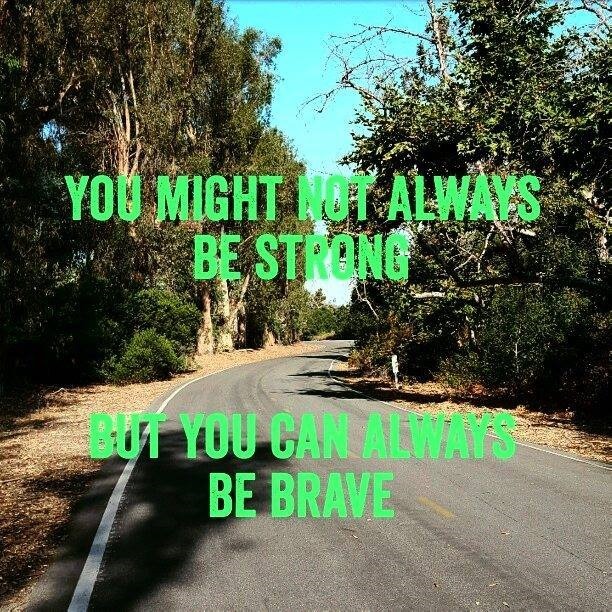 You are brave! I’m praying for you this weekend, for a speedy recovery. I hope the Vitamin C helps and you are back to normal soon. I know you will do great on Monday. Even though I’m only 90 miles west of you, I won’t be there, but I will be cheering for you. You have a million people rooting for you, you can do this! You ARE the fastest, prettiest, smartest, funniest YOU! I hear ya though. I always feel similar. Envious of those confident people. Will keep you in my prayers that you feel physically and mentally healthy on Monday to savor every min of the amazing experience. Can’t say whether you “deserve” it or not but you’ve worked extremely hard for it and definitely deserve to enjoy every minute of it!! Good luck!! Have fun!! How exciting to be running Boston – you deserve to be there!! Good luck!! I think you sell yourself short… you’ve worked hard and deserve it all. have fun at the marathon!! We don’t deserve it but God is just an awesome God that loves to bless you with amazing experiences. I’m cheering you on as you run Boston. Have fun and enjoy this moment. Congrats! Can’t wait to see how you do! And by that I just mean see you finish! Nothing else matters when it comes to enjoying this goal race of yours! Just get out there and enjoy this dream! Good luck!! Praying for healing! I can’t wait to hear/see/watch all about Boston! Good luck, girl! And have fun!